The Ultimate British Cafe Racers and Classic Restorations! Every Classic motorcycle enthusiast has dreamed of owning the ultimate road legal cafe racer, or having their favourite old bike restored to better than original condition. With the precision made range of motorcycles hand built by TT winner Steve Tonkin, the seemingly impossible dream is now a reality. first you have to finish! After 20 years as a professional restorer, and nearly 100 Classic Motorcycles built to concours condition, I am proud that my customers have never had a problem with their bikes. I put this down to my racing background.The first rule in racing is that to finish first...first you have to finish! I learned to ride in 1964 on a rigid Matchless 500cc, and got a 125cc BSA Bantam when I was 16. After progressing to a 250 Matchless and 350 Triumph, I got a Velocette Viper, followed by a Venom, and finally in 1970 a brand new Thruxton. That I had to sell to fund my first race bike, a 750 Norton Atlas in a wideline frame which proved to be very competitive and reliable. Then for 1973-4, we had a Seeley Commando, built by myself and life long friend and mechanic Dave Laurence who still gives me a hand now and again, which proved to be faster than the John Player Norton when I raced it at Brands Hatch at the end of 1974. I then changed to Yamaha Strokers, giving me numerous wins on the track and top six placings at the Isle of Man TT. 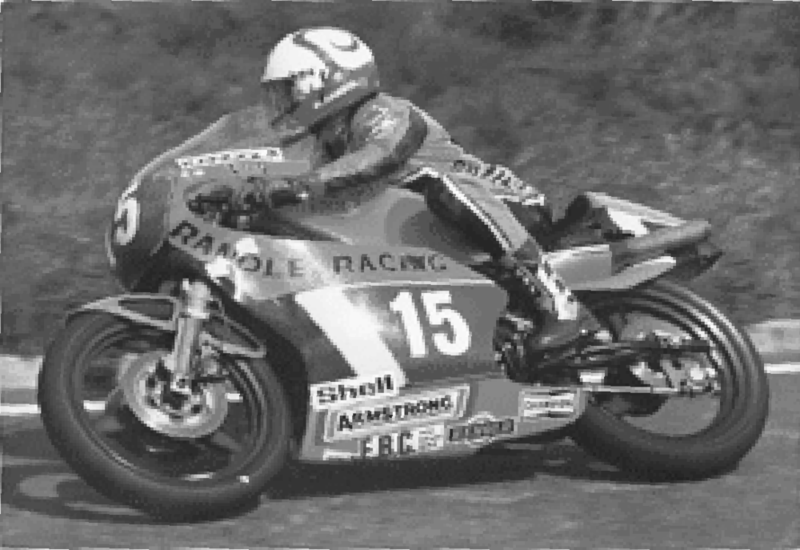 I won the 250cc Junior TT in 1981 on an Armstrong, and also won the British 250 Championship in 1980, 1981 and 1982, finally retiring in 1984. After 13 years of professional racing, I learned a great deal about meticulous machine preparation.When restoring customers' machines I treat them as if they were my own. My restorations were always built to be ridden - HARD! My bikes have been featured in serveral magazines in the UK and worldwide, including Motorcycle Classics, Classic Bike, Motorrad, Klassik Motorrad, and Classic Bike Guide to name just a few. I am now putting all of my passion into my brand new hand crafted bikes. I aim to improve upon the classic legend, and provide the ultimate road going modern cafe racing machines! "Pulls like a train, handles like a dream, and looks great! designed to be ridden hard! My bikes have been featured in several magazines in the UK and worldwide, including Motorcycle Classics, Classic Bike, Motorrad, Klassik Motorrad, and Classic Bike Guide to name just a few. After 30 years as a professional restorer, and over 100 Classic Motorcycles built to concours condition, I am proud that my customers have never had a problem with their bikes. I put this down to my racing background. The first rule in racing is that to finish first...first you have to finish! I caught the ferry to the Isle of Man and luckily for me it was a smooth crossing. Once off the boat, I was met by a good friend, and 1970 Senior Manx GP winner Roger Sutcliffe, who I have stayed with throughout my TT career. After dropping my bags off, I went to watch some action at Union Mills. The practise session was much more exhilarating than I had anticipated and gave me a completely different perspective to racing around on my bike. After practice was over, I unloaded the Tonkin Tornado which was to be used this year in the Manx Grand Prix Senior TT re-enactment parade and the Classic Racer TT lap of honour. After a little work on the Tornado to make it ready for the laps of the TT course, I went up to the grandstand to soak up the atmosphere. From there I went to have a chat with Andy Molnar, who had been working night and day to get his four valve Manxes ready to compete in the first Classic TT. Following the excitement of the day before, I found myself back at Union Mills, where Roger and I watched from the garden of the Chapel on the opposite of the road from the garage. The view was brilliant, and i would certainly recommend watching from there. I rode around the island with Roger which was fantastic, as I hadn't realised how much of the beautiful island you miss when you are only focussed upon the racing. It was a lovely evening, so we decided to go to Hailwood Heights to watch. As we arrived, the bikes had just started to thunder through. Not quite as exciting as Union Mills, so we doubled back off the mountain to the top of Barregarrow. Now this was exciting! The speed of the fast lads was quite something. One of the luckiest escapes was yet to take place. 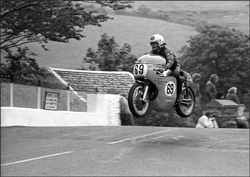 Alan Oversby, one of the fastest raiders at the Classic TT, had his rear suspension bottom out and stay down, making his bike impossible to control. He stepped off the bike at 130mph, sliding down the road a very long way, amazingly with no injuries! The bike also survived without too much damage either! Barregarrow was the first spot I watched the TT from when I first came to the TT. The race then was a 50cc race, and not quite as thrilling back then. 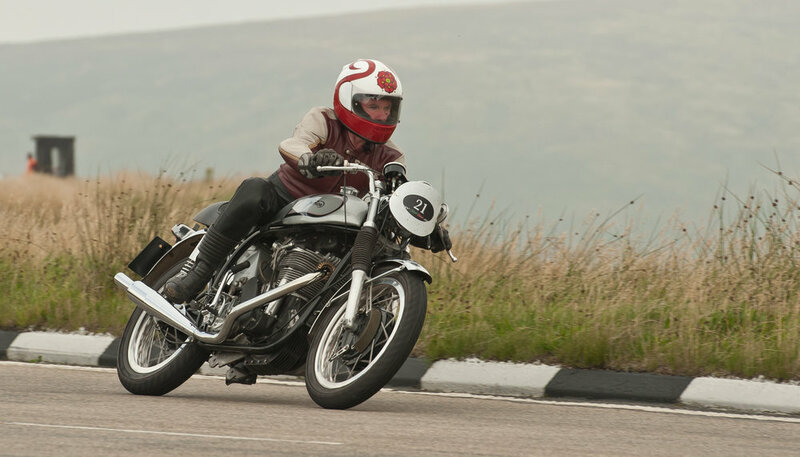 One of the annual showcase events during the Classic TT/Festival of Motorcycling in the Isle of Man is the Jurby Festival. Hosted by the VMCC, the event regularly attract over 10,00 visitors every year. Amongst the myriad ex race stars, together with classic and racing machinery, was yet another Tonkin Tornado Manx Norton. The bike attracted lots of attention from both visitors and famous racers alike. The bike was bought this year by Mike Jones from Hampshire. He was delighted when one of his long term racing idols, Steve Parrish consented to take the bike around the Jurby circuit to put it therough it's paces. Tonkin Tornado awarded best in show!